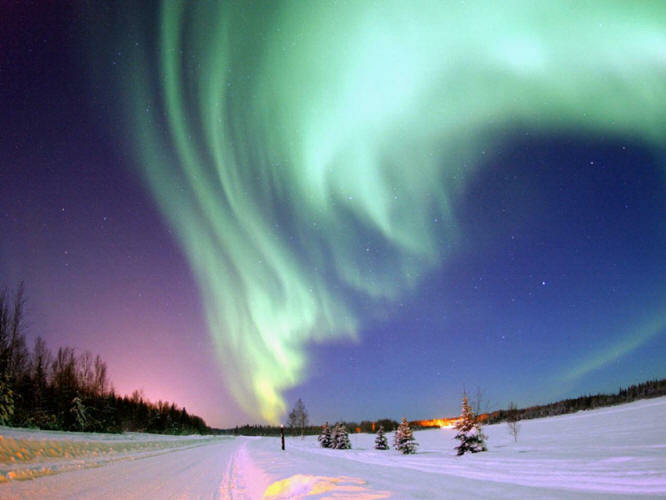 The Aurora Borealis. Credit: USAF/Joshua Strang. There has been a long history of resistance to the electrical Birkeland current explanation for polar aurorae. Now there should be no doubt. For those who have never experienced them, auroras consist of fluctuating light manifestations seen against or below the sky in the extreme north--and southern latitudes. These scintillating lights can take the form of diffuse patches or dancing streamers, bouncing arcs, shifting rays and, quite often, ephemeral hanging draperies which seem to sway in an unfelt wind. One of the most magnificent, if somewhat eerie, of natural phenomena, these lights can, and do, appear in varying shades of red, yellow, green, blue and purple. The rapidity of their ever changing glittering behavior makes them a difficult subject to capture in still photography. Their life-like nature, however, could not but capture man's imagination. Eventually it became quite evident that the aurora borealis, or northern lights, had a tendency to disrupt compass readings, a situation which had become something of a threat to navigation. In 1740, Anders Celsius, the inventor of the centigrade scale named after him, had already interpreted the aurora as an electromagnetic phenomenon when he, too, repeatedly noticed that a big compass needle on his desk changed its orientation every time an aurora appeared in the sky above Uppsala, Sweden. So did his brother-in-law, Olaf Peter Hiorter, who spent the entire year between 1741 and 1742 observing compass needles going awry at each appearance of the lights. 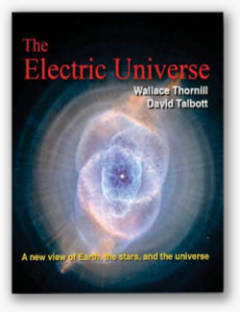 In 1861, Benjamin Marsh also "endeavored to show that an auroral streamer is a current of electricity which, originating in the upper portions of [the] atmosphere and following upward the magnetic curve which passes through its base" reaches "far beyond the supposed limits. of the atmosphere." And again in 1883, Selim Lemstron, a professor from Finland, reported the relationships he had presumed to exist between auroras and electrical activity. He accomplished this by artificially producing a "low-level aurora" that stretched to 400 feet above ground through a vast electrical apparatus he installed on top of a hill near Kultala, Finland. At the time, this was considered "the only known experiment that successfully reproduced the properties of the aurora on a large scale." Yet even so, electrical or otherwise, no one had yet managed to discover what it was that actually caused these scintillating lights. This new contender was the Norwegian Kristian Olaf Birkeland (1867-1917), whom we have had occasion to mention earlier in passing. From his base in Christiania, later renamed Oslo, Birkeland devoted a great portion of his life to an intensive investigation of the baffling aurora borealis. During this period of his life he mounted expeditions to remote icy regions, carting instruments and survival equipment up steep crags, setting up camps in the most dismal of weathers, in order to be able to study the phenomenon at first hand. 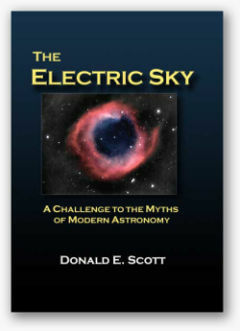 Having been instructed in electromagnetism early in his career, it is not surprising that he, too, sought an electromagnetic solution to the creation of the auroras. In this he was additionally motivated by the work of William Crookes in England who had established that cathode rays in gas-discharge tubes can be deflected by a magnet. Birkeland therefore wondered whether electrons—which is what cathode rays really amount to—could be ejected by the Sun toward Earth. If such electrons could be captured by Earth's magnetic field, he reasoned, chances were they would be directed toward the poles. As these electrons flowed through the upper atmosphere might they not even glow just as could be seen in laboratory discharge-tubes? That was the kernel of Birkeland's theory, which was laughed out of court by just about every one of his scientific colleagues. One saving grace, which in the long run saved just about nothing was the acceptance of his theory by the English physicist Sydney Chapman. But even this did not last long. Having been warned by others that an electric current flowing from Sun was an impossibility, Chapman ended up declaring Birkeland wrong in his assumptions. Even later, when Hannes Alfven went out of his way in replicating Birkeland's terella experiments for him, Chapman refused to change his mind. Having spent the final days of his life in a study of the zodiacal light, some say Birkeland died of mercury poisoning inhaled during his long hours in laboratory experimentation. Most agree that he died, at the age of fifty, "broken in spirit and in intellect, disheartened by the harsh reaction to his theory." Forty-four years had to pass before Birkeland could be vindicated. It all started in 1961 when, on its way to the Moon, the Soviet Lunik 2 spacecraft encountered a stream of electric particles flowing from the Sun. But so reluctant were western scientists in accepting such evidence that they branded the Soviet data unreliable out of hand. The following year, however, the same stream of "electrified gas," traveling "at speeds ranging from 300 to 700 kilometers a second," was recorded by the instruments aboard NASA's Mariner II spacecraft while on its way to Venus. It was the first indication of what was later termed the "solar wind." Further evidence was collected in 1966 by a U.S. Navy navigation satellite which consistently recorded magnetic disturbances on almost every pass it made over Earth's polar regions. "Since 1967 scientists have been looking at the satellite data in relation to phenomena such as the Northern Lights, rediscovering Birkeland's extraordinarily prophetic theories and completely reassessing his work. Today, he is credited as the first scientist to propose an essentially correct explanation of the aurora borealis, supported by theoretical, observational, and experimental evidence." The vertical currents that reach earth through the interaction of the so-called solar wind were, in 1967, designated as, "Birkeland currents" by Alex Dessler. As they have now become understood Birkeland currents constitute helical plasmas that can be produced in laboratory experiments, but that can also stretch over vast distances in the immensity of space. Such a galactic Birkeland current recently discovered has been dubbed the Double Helix Nebula, which has unfortunately been described as a twisted magnetic flux tube. As Donald Scott has however indicated, it can "clearly be seen as a pair of helical current filaments in a plasma." Nevertheless, as Lucy Jago noted, "rejection of his theories probably slowed the advance of geomagnetic and auroral physics for nearly half a century." 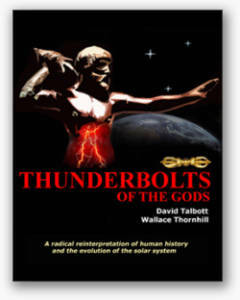 The above material was taken from the book Primordial Star written by Dwardu Cardona, available from Mikamar Publishing.